docSTAR 3thirteen adds a new ‘column chooser’ that allows users to customize the document list view in the Inbox, Retrieve, and Browse windows and save the view as a user preference. Users are able to select or deselect columns they wish to view such as selecting an invoice number column and deselecting a security class column. This enables users to view documents and their index information in a more meaningful fashion. OCR On Demand allows you to choose the region to get the text during the templating process. This allows for different formatted invoices to have the data captured. docSTAR now allows for all file types to be imported into docSTAR. Now you can centralize all your electronic documents. With the new improved live DataLinks you don’t have to wait an hour for the updates. Access management (security) delivers bulletproof security protection for your business-critical documents. Access management is an essential tool for any business or organization that needs to enhance its security and the confidentiality of critical documents, whether you are a human resources, medical, financial, legal or insurance professional – or representing any organization that must protect sensitive documents and records from unauthorized access, Access Management will provide you with unsurpassed flexibility and peace of mind. Advanced Templates and OCR (Optical Character Recognition) is a powerful duo of capabilities that give you a more flexible and structured method for ensuring your documents are filed consistently and intelligently. With advanced templates and OCR, you can easily create an infinite series of keys or categories as you wish for filing documents. Reduce tedious, costly keystrokes. Dramatically accelerate document filing and retrieval, and ensure that every document is filed accurately and consistently. The annotations feature takes paper documents, and your organization, into the fully electronic 21st century. Annotations provides you with an entire suite of easy-to-use graphic and text tools that give you the flexibility to mark up your electronic documents and save these notes as annotations. Using these tools, which include sticky notes, text, freehand drawings, straight lines, highlighter and redactor, you can make any comments or modifications you wish, while completely preserving the content and integrity or the original document. Advanced audit trail technology from docSTAR allows you to quickly and accurately track a wide range of user activities performed within docSTAR. With audit trail, you will be able to instantly know every time someone has viewed or manipulated any electronic document. You will know who performed the action, when it was done, and what was done, instantaneously, which will in turn reduce your exposure to risk. Audit trail gives your business the tools to operate more efficiently and profitably. The E-mail functionality helps you effectively and promptly manage your communication with everyone from customers and vendors to other members of your organization. Simply e-mail documents instantly from your desktop. Send docSTAR documents to anyone with e-mail access. The recipient’s e-mail client doesn’t need to be a docSTAR user. Native file management gives you the power to store more than 150 types of electronic documents, such as word processor files, spreadsheets, and emails in their true original formats while retaining all the special features inherent in these documents. Use OS association to open files such as CAD, email, Word, PDF, MIDI, MP3, MOV, WAV, and more. The native file management feature allows you to gather, store and access all documents, images and data related to a customer, employee or vendor together in one central location. You can improve customer service and makes your entire operation more responsive, efficient and productive. Zetafax enables you to send, receive, store, retrieve, and share your documents with just a few clicks of a mouse and without the expense of printing documents. Zetafax brings up to 30% reduction in administrative time and 500% increase in productivity. You can finally eliminate the time consuming and error prone process of manual data entry. All of the data in all of your documents from forms, invoices and orders is quickly scanned and seamlessly entered into your core business application. The docSTAR barcode module gives your docSTAR the ability to read barcodes, allowing your business to dramatically increase speed and accuracy in its filing process. docSTAR Barcode automates the filing process. It reads barcodes containing key information – customer names, account names, account numbers, etc. – and then enters this information into each document’s titles, keywords, or custom fields. This process requires no human intervention, making it the fastest option for storing documents in the docSTAR imaging system. docSTAR dashboard and reporting can help your company get ‘on-board’ for streamlined workflow and ultimately a more efficient staff. Dashboard and reporting is designed to provide visibility to your business activities by user, department or document type across your organization. Dashboard and reporting offers detailed information reporting, alerting and management capabilities to help your organization monitor business activities of your staff. DataLink lets docSTAR link your documents with your data by reading data from your business applications. This software module saves keystrokes and improves accuracy during filing by leveraging the data you already have. DataLink allows you to collect information consistently and therefore speed up the filing process! DataLink is safe to deploy and is compatible with most databases. docSTAR MapConnect provides a central place for government organizations to easily view specific Geographic Information System (GIS) spatial information and related documents in seconds for better planning and management of state and local government offices. Users can easily access GIS layers and instantly locate and display both GIS maps, data, and docSTAR documents all with the click of a button. docSTAR MapConnect is a web application that amplifies the capabilities of non-technical people, granting seamless access to documents stored in docSTAR and GIS information through an intranet portal. NetConnect is an innovative, optional software module, which lets you access your host docSTAR from any location with a high-speed Internet connection (such as DSL or cable modem) or over a wide-area network (WAN). It connects you with critical documents whether you are in your headquarters, a satellite, or on the road. docSTAR’s PackageWorks delivers streamlined, intelligent package-based workflows to dramatically increase productivity and ensure that the final package is consistent and complete. PackageWorks enables businesses to create a document checklist with “slots” designed to gather and track a set of documents necessary to complete a business workflow. With built in e-mail alerts and approval capabilities, PackageWorks helps organizations create and maintain a consistent, managed process for assembling document packages. Print Import 5.0 lets you import documents from almost any Windows application, including AutoCAD. Print Import 5.0 captures documents as image files (or image PDFs) so that they can be merged, annotated, or otherwise processed just like documents you’ve scanned. A robust printing solution that allows Windows-based computers and non-Windows based systems including UNIX to print directly to docSTAR without having to print the document first. With a worldwide user base of 100,000 RPM is and used by more than one half of the Fortune 100, hundreds of hospitals and manufacturers. SmartLink™ is a powerful integration tool that connects docSTAR to your business application. Integrated retrieval makes relevant docSTAR documents available instantly, with a single click, from within the applications that you use on a daily basis. SmartLink leverages the data you have already collected to accurately and conveniently file/retrieve documents in docSTAR. Webworks software enables documents stored on a host docSTAR to be viewed from any windows based pc via the Internet or corporate intranets. It works with wide-area networks, broadband Internet services, or even dial-up connections! Now you can put documents at the fingertips of your customers, field employees, other important people, and even the general public – everywhere, at any time! And of course you can restrict this access to only those who really need it. Webworks is very easy to use because it combines the simplicity of a Web browser with docSTAR’s powerful search and retrieval features. Browser-based user interface makes finding documents as easy as searching the internet, perform your searches, and view your documents. Workflow Module delivers powerful workflow combinations. Automatically route documents to users or groups, send notifications, provide guided user interaction, and allow automated index information acquisition at any point in the process. Create any number of automated or user-guided steps that include multiple possible branches. 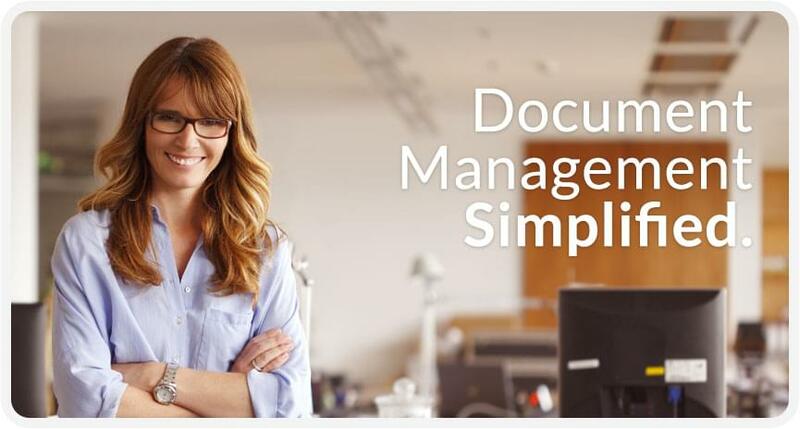 Spend less time managing documents and more time focusing on your business. The integration suite combines the power of SmartLink, Datalink and Integration Agent. You use your core business application for most of your daily activities. With docSTAR integration suite you can record your transaction and index the document into docSTAR at the same time. With the suite you can go from two steps to one step. Integration suite enables users to build a seamless connection from their business management software to the docSTAR document management system. It makes all documents accessible through a smooth, intuitive work process…all in a single step. This single step displays a list of all relevant documents and provides an easy to navigate browser-based interface for viewing them. If your core business application does not offer a customization or if customizations are prohibitively expensive, docSTAR SmartLink provides an easy and fast way to integrate with almost any Windows-based or browser based application without coding or programming. SmartLink grabs data right from the screen in your core business application. If you can read it, SmartLink can grab it and use it to retrieve related documents or to generate a virtual cover sheet. DataLink allows you to collect information consistently and therefore speed up the filing process! The Integration Agent is easy to deploy – throughout the office or around the world. It is browser-based, so it can run on almost any PC and requires little or no maintenance. It can also operate across wide-area networks and over the Internet, allowing images to be added to web-based business applications. SmartLink leverages the data you have already collected to accurately and conveniently file/retrieve documents in docSTAR. Integrated retrieval makes relevant docSTAR documents available instantly, with a single click, from within the applications that you use on a daily basis.